We have known that the first step that we follow after flashing a new ROM on our device is to flash the Google Apps also known as GApps on our device in order to get the full package of Google Apps on our device which is an essential part of Android and are used by most of the users in daily usage. Some of the apps like Google app, Google Chrome, Gmail, and YouTube are the most essential and core apps in the GApps package other than Google Services and other framework based GApps. Now, we have known that the latest version of LineageOS which has been named as LineageOS 15.1 has been officially released a few days back and there are many devices which are officially supported in the first phase with many more devices to be supported in the coming releases. However, it was known that the Open GApps platform which is the best platform for getting the GApps to be flashed with LineageOS were not available at that time as LineageOS 15.1 is based on Android 8.1 Oreo and Open GApps supported Android 8.0 Oreo devices only. However, it is not the case anymore as Open GApps has announced support for Android 8.1 Oreo Custom ROMs as well. This is a major announcement because of the fact that many of the device owners which had official LineageOS 15.1 support for their devices were holding back due to the fact that there was no proper GApps availability at that time. However, now that Open GApps package is now available, the usage of LineageOS 15.1 will increase drastically as it contains many different packages of varying sizes as per the needs of the users. 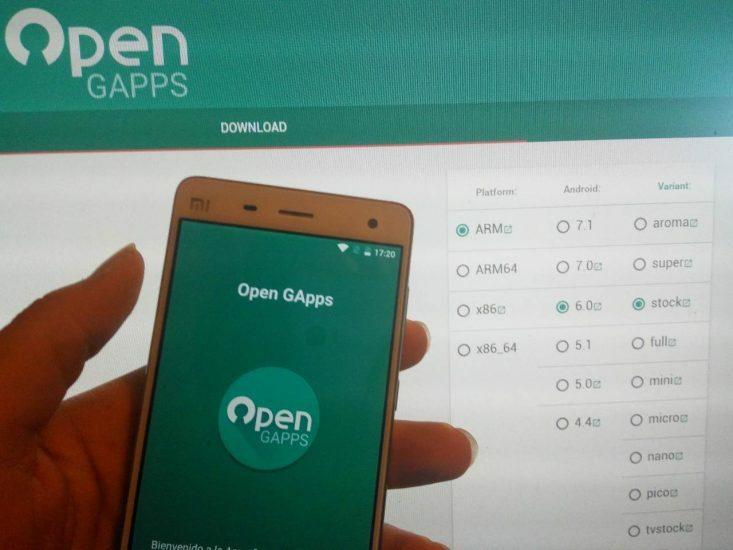 Also, it is known that Open GApps package supports 32-bit devices as well as 64-bit devices in addition to the ARM devices so this package can be flashed on any type of Android device at hand.